Its DigiStamps Boutique Late Anniversary, so they are offering some lovely Candy. Just click on the link above. I thought I would share this with you. It is for Adi's birthday and he is the 'Barbeque King' so this fits so well. 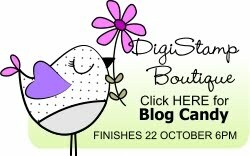 It is a Digi Stamp Boutique stamp from the Jim Collection 2. I have used Promarkers to colour him in. I have not been blogging as we are on the move again!!! This time we are going to Spain so as you can appreciate I am very busy sorting stuff out. Hopefully after the move I will have more time to blog and create regularly. Here are my 2 DT cards for Creative Crafts Challenge where the theme is 'Glamour Puss'. The top image is a Pink Petticoat one and the bottom on is from Printable Heaven. There is another new challenge on Creative Crafts and it is themed 'Animal Antics'. For my contribution I have made a card using 'House Mouse Decoupage' Food and Drink available from Joanna Sheen. They are super cute and look fantastic. Paper and flowers from stash, '13' cut using my Cricut. So lets have lots of enteries for a chance to win 2 Giraffe stamps from the fabulous 'Little Claire Designs'. Sorry I have not been on recently. I work all over the UK and have been really busy. Also had a big exhibition on this weekend so had to work it all, which means no time for crafting!!! 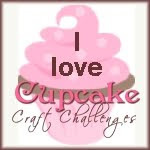 There is a new challenge on Creative Crafts blog starting today. It is titled 'Summer Loving' so please feel free to have a go. Here is my DT card for Creative Challenges we had some lovely images to use from Crafty Pad which I have coloured using Promarkers. Finished with a bit of glitter and some gems. The paper is Papermania 'Sweet Nothings'. The challenge this time is 'Stamp it up' so come and have a play.